We all go on holiday to relax, unwind and forget about the stresses of life back home – if only for a week or so! Part of the enjoyment of a holiday abroad, for some people, is exploring the local areas, and what better way to do that then with the freedom of renting your own car, allowing you to come and go as you please without the confines of public transport timetables. Be aware that the majority of car hire firms only make their money by selling on the add-ons that can come with it. So if you want to keep an eye on costs, as well as being sold things that you may not need, such as insurance, sat navs etc. then remember to opt out for any extras and go for the basic rental package they offer. Unless you say otherwise, most rental companies will tag on insurance and you will probably find that you will still have to pay up to the first £1,000. 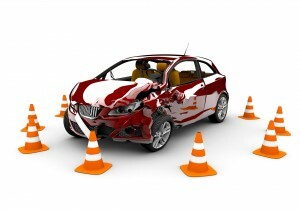 However, if you shop around you will more than likely be able to find a better deal that will also include damage to other parts of the car, such as windows and tyres, whereas the insurance from the rental firm may not. 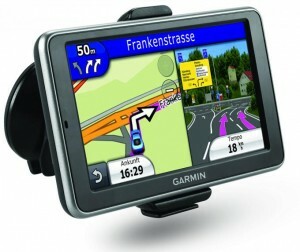 Although a Sat Nav is something you will probably want (especially if you’re travelling around an unfamiliar country) you will probably be able to purchase and own one yourself cheaper than renting from your car company. But it would be wise to look into this and price things up beforehand. It can be hard to see through the sales talk, but when you go to collect the vehicle, you will no doubt try to be sold more things, for instance insurance and possibly a separate one for windows and tyres. If you have already found an insurance company, then simply ignore this and politely decline. However, if you do end up agreeing to the two separate insurances, be sure that you are fully aware that this is what you want, as you cannot be refunded once it has been agreed. It’s important to check that you fully understand and agree to every policy. For instance, if there is a limit to the amount of miles you can travel, if there are any extra charges for those under 25 years of age and if you need to fill the car up with fuel yourself or if they work on a full to empty fuel tank policy. 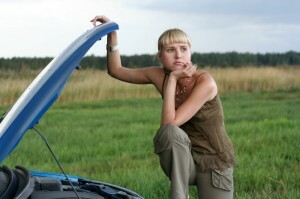 Before you even drive the car out of the garage, check it over for any damage, both internally and externally. This could be scratches, scuffs, bumps etc. and make sure you record it by taking photographic evidence, as well as listing it down. Once you have done this you can ask someone from the company to sign it so you don’t find yourself being accused of any damage you haven’t done, but without any evidence to back it up. Once you have returned the car back to the garage, do not just assume this is the end of the rental period and throw your paperwork away. Keep everything you have ever received together in one folder as you may need to refer back to this if there are any disputes over payment or anything else. Keep an eye out on your credit card statement to make sure the payments match the amount you agreed to in the contract. Even once it has showed up on your statement, it is advisable to still keep your eye out for any additional charges that could show up at a later date. If you do find that you have been charged something illegitimately then you should testify against this and fight your corner. For example, if you have been charged for a protection policy yet you already had your own, then send them a copy of this. In another instance, if they have billed you for repairs you know were non-existent then ask them to send evidence of these. When it comes to choosing the right car hire company to go with, take the time to do your research and read reviews. If you’re looking for a trusted company to rent a vehicle from in the UK, then please get in touch with Caversham Vehicle Hire today. Based in the Reading and Newbury areas, we offer a wide range of vehicles and leases from small car hires for the weekend, to long term truck hire. Simply give us a call for more information and advice.